View More In IV Poles. The Drive Economy IV Pole is an affordable IV pole mounted on ball bearing wheels. 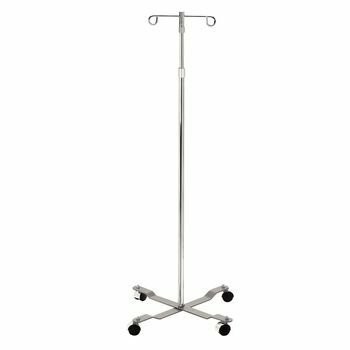 The chrome-plated steel frame has a weighted base and a locking collar to adjust and maintain the height. Hooks can be inserted and secured with push pins.